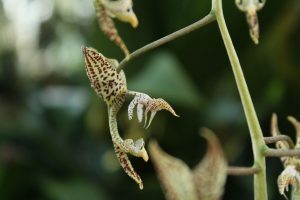 Week 7’s orchid of the week is the dramatic South American species Gongora grossa. I know that Martha, Tallis who are in charge of our Gongoras will be delighted. Thanks as always to all of you who voted. The vote for orchid of week 8 will open next Saturday.